Planning a Halloween party, you need appropriate recipes. What could be better on a Halloween buffet than "Devils on Horseback"? It's a peculiar phrase, Devils on Horseback. Where did it come from and when were they first made? 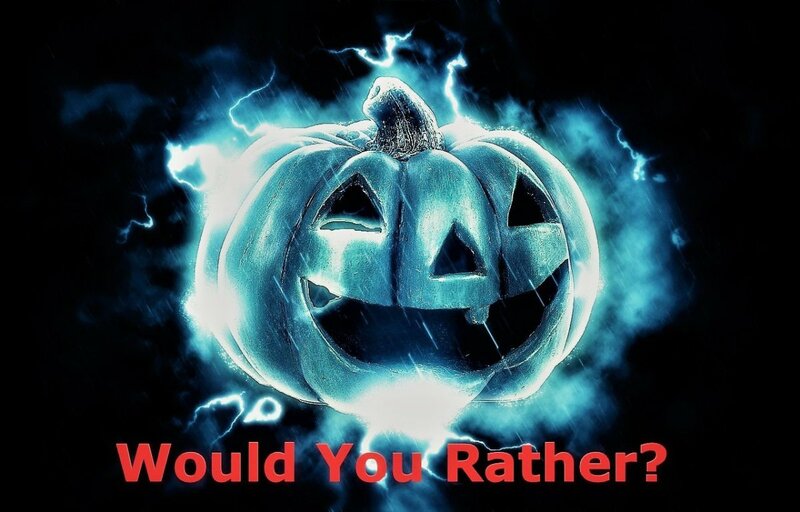 With the Halloween season almost upon us, let's get some answers to these questions along with some great recipes. Dating back to Victorian England, Devils on Horseback are a hot appetizer. Recipes vary but in general they are pitted prunes stuffed with mango chutney and wrapped in bacon. You bake it in a pre-heated 425 degree oven (though you can grill them too). They are often served atop a quartered slice of toast, with watercress. Other variations use liver pieces in place of the prunes and I have even seen one recipe made with dried apricots as well. Some say the name came from the red (bacon) and black (prune) color combination being reminiscent of the black and red image of the devil. 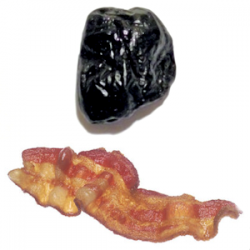 They even say that the bacon wrapping around the prune is symbolic of legs wrapped around a horse while riding. Each recipe has a full color, full page photograph -- which, as you know, makes all the difference in specialty cooking. Decorating ideas and budget friendly suggestions are also included. A great reference for hosting a Halloween Party with Halloween themed foods! 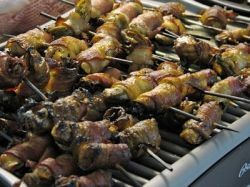 Try Your Devils on Horseback on Skewers and Grill Them! These are my favorite skewers to use when we grill out. The double prongs make sure the food doesn't spin or slip off as easily while you are grilling. The cute little icons on the end are a crab, fish, scallop and lobster. These can lay flat just off the grilling surface at the front of the grill. This is stylish grilling! 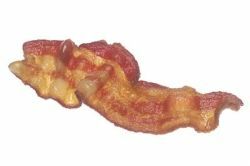 When Norman raiders invaded England in 1066, warriors would cover themselves in rashers (slices) of bacon, sort of like armor. 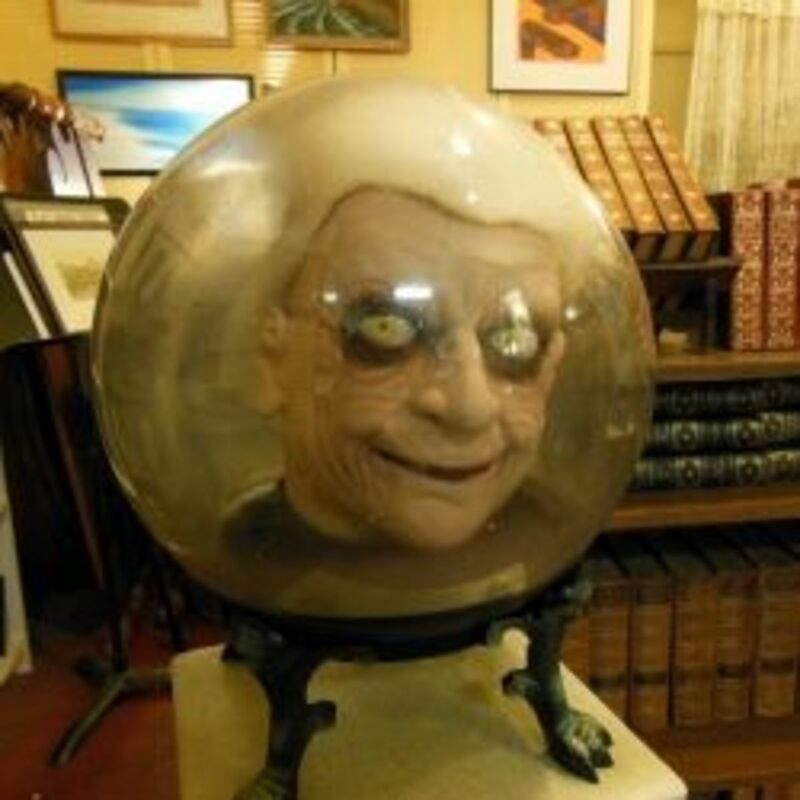 It was said the grotesque look was used to scare villagers during invasions. The bonus was being able to eat the bacon after the battle. I couldn't find any source to back this theory up, however, just the main source. 2. Place parchment paper on a rectangular baking/cookie sheet and then place a wire rack on top. Set aside. 3. Place toothpicks in a small bowl of water and let soak for 15 minutes. 4. Cut dates lengthwise, being careful NOT to cut all the way through. Leave a "hinge" if you will. 5. In the opening of the date, place a small amount of the Stilton cheese. Close the date around the cheese. 6. Wrap a 1/2 piece of bacon around the middle of the date, holding it together. 7. Secure bacon by sliding a toothpick through the bacon and date. Place each date on wire rack on top of baking/cookie sheet. 8. Bake until bacon is completely and thoroughly cooked -- usually 20 to 25 minutes. This is a humorous cookbook filled with recipes for Halloween. 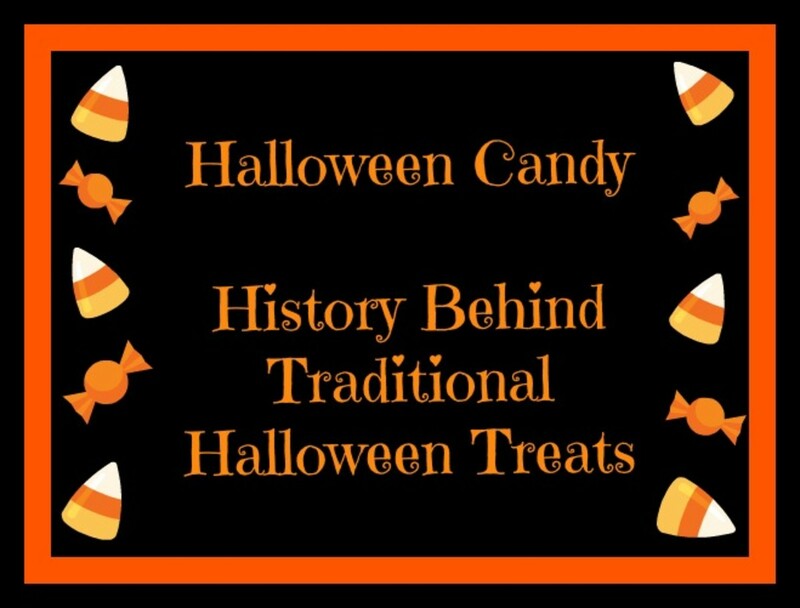 Everything from cupcakes to candy to party appetizers and even Halloween supper! 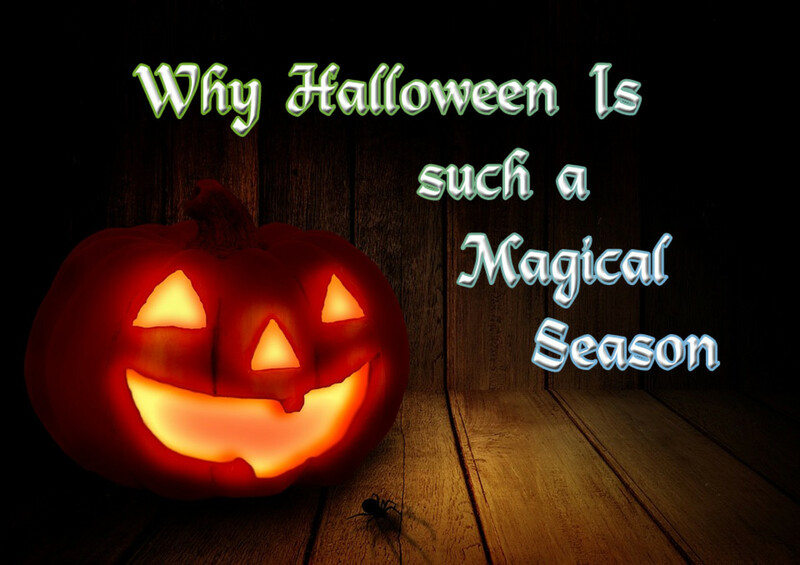 Author, Sharon Bowers, shares her recipes, tips and tricks to make your Halloween celebration the best on the block! There aren't pictures with every recipe but the recipes are still great! A wonderful addition to any cookbook collection. Sharon Bowers, author of Ghoulish Goodies - shows how to make "Bones"
Very short video, a bit dated but the "bones" are still a great idea for Halloween party snack food! Try these stainless steel picks to hold your bacon on the prune. They are stylish and can be washed and reused which is eco friendly to boot! 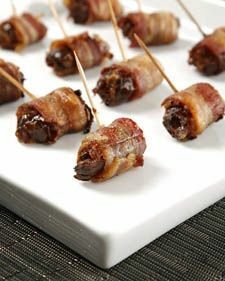 The last, and most believable theory is that Devils on Horseback are derived from their cousin appetizer "Angels on Horseback". Angels on Horseback were a favorite English Victorian era after dinner snack or nibble. 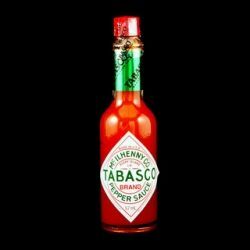 The ingredients are exactly the same, save for one -- Hot Sauce. Thus, the angel becomes a devil due to the heat. This theory is logical and believable! If the theory is true, then somewhere along the lines the oyster was swapped out with a prune. I couldn't find any information about this but maybe you can! 1. Flatten shrimp with the back of a knife to prevent curling. Combine shrimp, wine, lemon peel, 1 to 1 1/2 teaspoons chili garlic sauce, and salt in non-reactive dish. Marinate for 15 minutes. Remove shrimp and drain on paper towels; discard marinade. Wrap each shrimp in a piece of bacon, securing bacon by skewering shrimp with wooden toothpick (neck to tail in a half-moon). 2. Preheat broiler. (Position oven rack so the food will be 3 to 4 inches from the heat.) Place shrimp in a single layer on an unheated rack of a broiler pan. Broil, turning twice, until shrimp are opaque and bacon is cooked through and crisp (7 to 9 minutes total). 3. For Remoulade, stir together mayonnaise, lemon juice, 1 tablespoon prepared chili garlic sauce, 1 teaspoon salt, and green onions. Cover and chill until serving time. 4. If desired, thread broiled shrimp onto fondue forks or 8 to 10-inch skewers. Serve shrimp with sauce. Makes 48 shrimp (12 to 16 servings). This book is due out August 21st, but Amazon is accepting pre-orders. 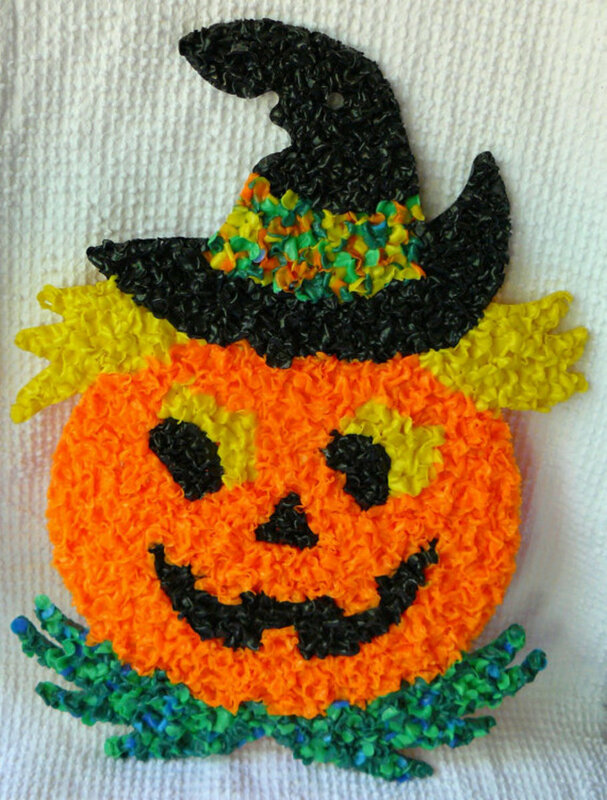 The price is right and the description states there are almost 100 recipes for Halloween, from treats to main dishes, with a photo for every single recipe! Bonuses include buffet set-up ideas, helpful tips for cooking and ideas for re-using Halloween candy for recipes. I'm getting this one! I can use it for years to come for our Halloween parties! Need Some Oysters? 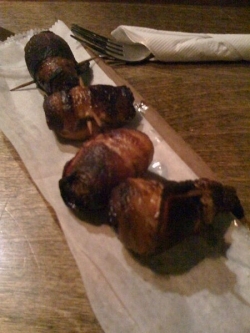 - Angels or Devils on Horseback! Wanna give these recipes a try? Get some fresh, in the shell oysters from Charleston. These are perfect when making traditional Angels on Horseback or add the hot sauce and make your own oyster version of Devils on Horseback! If you would like the traditional recipe, please visit: Angels on Horseback Recipe. It is basically, oysters wrapped in bacon and served on toast with watercress as the garnish. As seen in the photo, you can also skewer them and grill as opposed to baking. Either way, they are an appetizer favorite in both the UK and US. 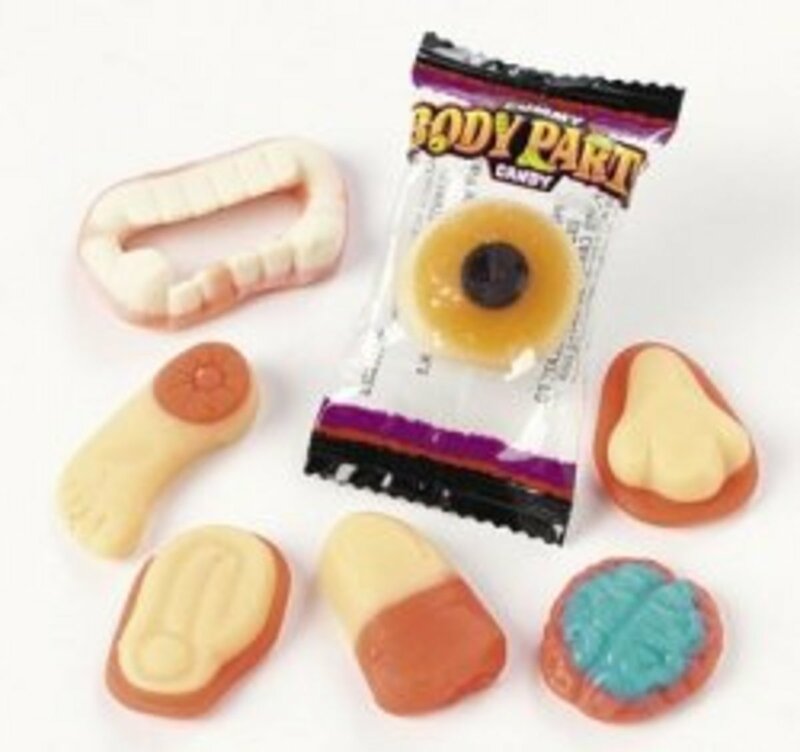 Tasty little morsels perfect for your Halloween party. Which Devil on Horseback recipe do you prefer? Of the 3 recipes above, which would you prefer? 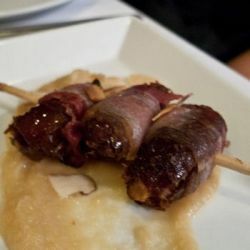 What Do You Think of Devils on Horseback Appetizers? My choice still remains the modern version as I LOVE shrimp. With bacon added, you've got a winning combo! Yum. Terrific terror-ific recipes for Halloween appetizers! I pretty much want to try each of the Devils on Horseback recipes, as well as the Angels on Horseback! What a fabulous appetizer or party treat! I never heard of these. They sound delicious. It sounds interesting. I'm willing to try it, so that's something. LOL! OK, you got me on this one! 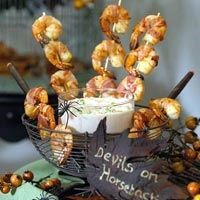 I had never heard of Devils on Horseback appetizers, but I'm ready to add them to my next Halloween party. Great recipe. I think this lens is the first of heard it! The first time I ever heard of "Devils on Horseback" was when they were prepared on the UK cooking show The Two Fat Ladies. Can't say I'd eat them but I bet loads of people would! Interesting, the traditional appetizers looks yummy, I love sweet and sour food, might try it!